It wouldn’t be a stretch to call Alesis “The Graphic EQ Company.” Our MEQ230 is a standard in sound installations and studios, and the DEQ series now carries the torch with a groundbreaking approach to digital graphic EQs — for every application and budget — that’s taking engineers by storm. 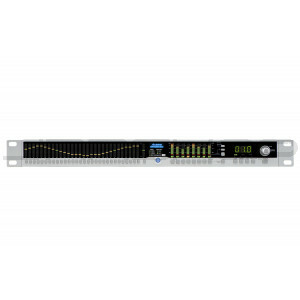 The DEQ830 is the world’s most affordable 8-channel 1/3-octave digital graphic EQ. Though it fits in a compact one-space rack, we didn’t skimp on connections or features. Sonic performance is superb, with 1/4" TRS balanced and ADAT Optical I/O. Change any of 30 bands on eight discrete channels with the press of a button. Get instant, slider-style visual feedback rather than squinting at a tiny LCD. And store your changes in 100 user programs, with 50 curve templates to get you started in any room.